Nothing beats a Charlotte summer. Perfect weather for pool parties and day drinking? Check. A giant list of concerts you’ll want to snag tickets for immediately? Check. Whether you like rock, country, hip-hop, jazz, or whatever kind of music straddles any of those genres, your favorite artists are hitting the Queen City soon. Scope out this calendar, start planning your shows, and get ready to rock. New Roots Bluegrass Enjoy live bluegrass at Carowinds daily throughout the summer. New Roots Bluegrass Carowinds Enjoy live bluegrass at Carowinds daily throughout the summer. Carolina Beach Bash Catch this show every day except Tuesday. You’ll soak up the warm weather and let a fun beach mix serve as the soundtrack to your afternoon. Carolina Beach Bash Carowinds Catch this show every day except Tuesday. You’ll soak up the warm weather and let a fun beach mix serve as the soundtrack to your afternoon. Paul Simon Take your parents. They’ll love you for it. It’s the perfect early Father’s Day gift. Paul Simon Uptown Amphitheatre Take your parents. They’ll love you for it. It’s the perfect early Father’s Day gift. Chance the Rapper He’ll be at PNC Music Pavilion. Chance the Rapper PNC Music Pavilion He’ll be at PNC Music Pavilion. Iron Maiden Get ready to head bang as Iron Maiden hits the stage at PNC Pavilion on The Book of Souls 2017 tour. Iron Maiden PNC Music Pavilion Get ready to head bang as Iron Maiden hits the stage at PNC Pavilion on The Book of Souls 2017 tour. Jazz at the Park The members of the Charlotte Symphony team up with musicians from the Jazz Arts Initiative to put on a concert filled with jazz standards. Jazz at the Park Symphony Park The members of the Charlotte Symphony team up with musicians from the Jazz Arts Initiative to put on a concert filled with jazz standards. Muse and Thirty Seconds to Mars Two of rock's most theatrical bands are on tour together, and they’re taking over PNC Music Pavilion for what’s sure to be an electrifying show. Muse and Thirty Seconds to Mars PNC Music Pavilion Two of rock's most theatrical bands are on tour together, and they’re taking over PNC Music Pavilion for what’s sure to be an electrifying show. Royal Suits Performing at Rooftop210 as part of Alive After Five. Royal Suits Rooftop 210 Performing at Rooftop210 as part of Alive After Five. 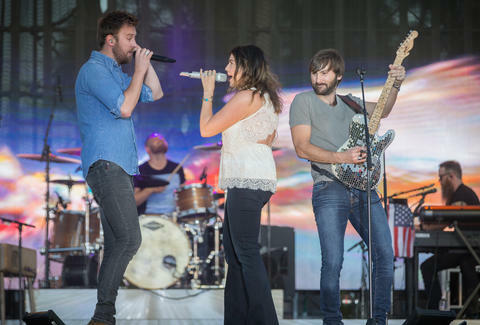 Lady Antebellum Lady A kicks off a busy summer’s worth of country shows at PNC Music Pavilion. Lady Antebellum PNC Music Pavilion Lady A kicks off a busy summer’s worth of country shows at PNC Music Pavilion. Third Eye Blind Remember when you discovered what “Semi-Charmed Life” was actually about? Third Eye Blind Uptown Amphitheatre Remember when you discovered what “Semi-Charmed Life” was actually about? Queen City Jazz Fest Featuring Brian Culbertson, Mike Phillips, Jeff Bradshaw, and more. Queen City Jazz Fest Uptown Amphitheatre Featuring Brian Culbertson, Mike Phillips, Jeff Bradshaw, and more. Pops in the Park: Star Wars: The Music The Charlotte Symphony celebrates the 40th anniversary of Star Wars during this Pops in the Park concert. If you’re a real fan, you have to be there. Do or do not. There is no try. Pops in the Park: Star Wars: The Music Symphony Park The Charlotte Symphony celebrates the 40th anniversary of Star Wars during this Pops in the Park concert. If you’re a real fan, you have to be there. Do or do not. There is no try. Fifth Divide Performing at Rooftop210 as part of Alive After Five. Fifth Divide Rooftop 210 Performing at Rooftop210 as part of Alive After Five. Dispatch and Guster CMCUA is the perfect venue for this laid-back show. 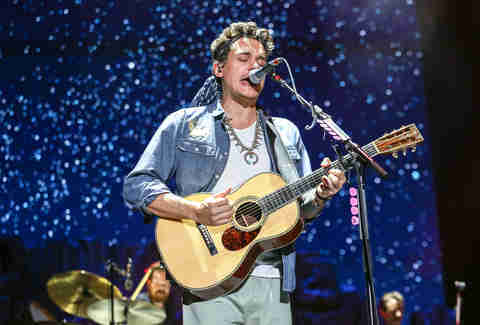 Dispatch and Guster Charlotte Metro Credit Union Amphitheatre CMCUA is the perfect venue for this laid-back show. Chicago and the Doobie Brothers You grew up listening to these bands because your parents loved them; now see them live. Chicago and the Doobie Brothers PNC Music Pavilion You grew up listening to these bands because your parents loved them; now see them live. Pops in the Park: Best of Broadway Unleash your inner theater nerd during this Pops in the Park performance. The Charlotte Symphony will play your favorite songs from My Fair Lady, Grease, Phantom of the Opera, and others. Pops in the Park: Best of Broadway Symphony Park Unleash your inner theater nerd during this Pops in the Park performance. The Charlotte Symphony will play your favorite songs from My Fair Lady, Grease, Phantom of the Opera, and others. Dierks Bentley Dierks and Cole Swindell embark on a tour together this summer, and PNC Music Pavilion is one of the stops. Dierks Bentley PNC Music Pavilion Dierks and Cole Swindell embark on a tour together this summer, and PNC Music Pavilion is one of the stops. Mo Money Performing at Rooftop210 as part of Alive After Five. Mo Money Rooftop 210 Performing at Rooftop210 as part of Alive After Five. Pops in the Park: Celebrate America The Charlotte Symphony has the perfect pre-Fourth of July celebration in store with their Pops in the Park Celebrate America performance. Pops in the Park: Celebrate America Symphony Park The Charlotte Symphony has the perfect pre-Fourth of July celebration in store with their Pops in the Park Celebrate America performance. Vans Warped Tour Maybe Mom will finally let you go. Vans Warped Tour PNC Music Pavilion Maybe Mom will finally let you go. Hot Sauce Performing at Rooftop210 as part of Alive After Five. Hot Sauce Rooftop 210 Performing at Rooftop210 as part of Alive After Five. Brantley Gilbert Brantley’s not doing many dates in the Southeast this summer, so catch him while you can at PNC Pavilion. Brantley Gilbert PNC Music Pavilion Brantley’s not doing many dates in the Southeast this summer, so catch him while you can at PNC Pavilion. My Morning Jacket It’ll be one big holiday when My Morning Jacket heads to Charlotte Metro Credit Union Amphitheatre. My Morning Jacket Charlotte Metro Credit Union Amphitheatre It’ll be one big holiday when My Morning Jacket heads to Charlotte Metro Credit Union Amphitheatre. Incubus and Jimmy Eat World Relive high school… or at least the parts you want to. Fifteen-year-old you insists that you go see these two live. Incubus and Jimmy Eat World PNC Music Pavilion Relive high school… or at least the parts you want to. Fifteen-year-old you insists that you go see these two live. Jason Aldean He’s making a stop at PNC Music Pavilion during his summer tour. Jason Aldean PNC Music Pavilion He’s making a stop at PNC Music Pavilion during his summer tour. Bantum Rooster Performing at Rooftop210 as part of Alive After Five. Bantum Rooster Rooftop 210 Performing at Rooftop210 as part of Alive After Five. Harmony Hall Summer Concert Series A family-friendly concert series... with roller coasters! Harmony Hall Summer Concert Series Harmony Hall at Carowinds A family-friendly concert series... with roller coasters! Meek Mill and Yo Gotti They’re out on the Against All Odds tour, with a stop at the Charlotte Metro Credit Union Amphitheatre. Meek Mill and Yo Gotti Charlotte Metro Credit Union Amphitheatre They’re out on the Against All Odds tour, with a stop at the Charlotte Metro Credit Union Amphitheatre. Laughlin Performing at Rooftop210 as part of Alive After Five. Laughlin Rooftop 210 Performing at Rooftop210 as part of Alive After Five. The Cure and Twilight Sad Black eyeliner encouraged, but not required. 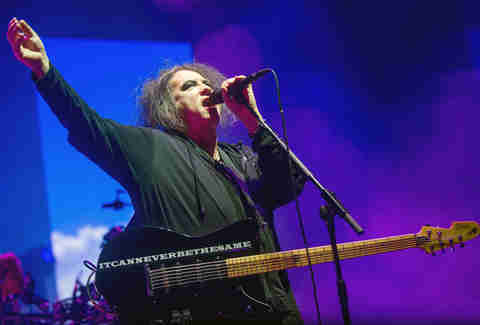 The Cure and Twilight Sad PNC Music Pavilion Black eyeliner encouraged, but not required. Sam Hunt He may be off the market now (sorry, everyone) but you can still enjoy the eye candy. Sam Hunt PNC Music Pavilion He may be off the market now (sorry, everyone) but you can still enjoy the eye candy. Straight No Chaser They’ll make you proud you did a capella for a year in high school. Straight No Chaser Uptown Amphitheatre They’ll make you proud you did a capella for a year in high school. Bad Company and Joe Walsh Classic rock at its best. Bad Company and Joe Walsh PNC Music Pavilion Classic rock at its best. Florida Georgia Line Maybe Backstreet Boys will make a cameo to perform “God, Your Mama, and Me”? We can dream. Florida Georgia Line PNC Music Pavilion Maybe Backstreet Boys will make a cameo to perform “God, Your Mama, and Me”? We can dream. Rubberband Performing at Rooftop210 as part of Alive After Five. Rubberband Rooftop 210 Performing at Rooftop210 as part of Alive After Five. Charlotte Funk Fest Featuring Erykah Badu, Babyface, Goodie Mob, and Jagged Edge. Charlotte Funk Fest PNC Music Pavilion Featuring Erykah Badu, Babyface, Goodie Mob, and Jagged Edge. Linkin Park They’ve got a new album out and will share the stage with Machine Gun Kelly. Linkin Park PNC Music Pavilion They’ve got a new album out and will share the stage with Machine Gun Kelly. Luke Bryan Country’s favorite booty shaker returns to PNC Music Pavilion. Luke Bryan PNC Music Pavilion Country’s favorite booty shaker returns to PNC Music Pavilion. Matchbox Twenty and Counting Crows It’s the ultimate ‘90s rock pairing. Matchbox Twenty and Counting Crows PNC Music Pavilion It’s the ultimate ‘90s rock pairing. Goo Goo Dolls and Phillip Phillips If you go and don’t scream-sing “I WANNA WAKE UP WHERE YOU AREEEE” did you even go at all? Goo Goo Dolls and Phillip Phillips Uptown Amphitheatre If you go and don’t scream-sing “I WANNA WAKE UP WHERE YOU AREEEE” did you even go at all? Lauren Levine is a freelance writer who has contributed to publications and websites including The Huffington Post, The Charlotte Observer, U.S. News & World Report, Hello Giggles, Bustle, Thought Catalog, and others. She’s also the co-host of The Margarita Confessionals podcast. Say hi on Twitter, @lifewithlauren1.